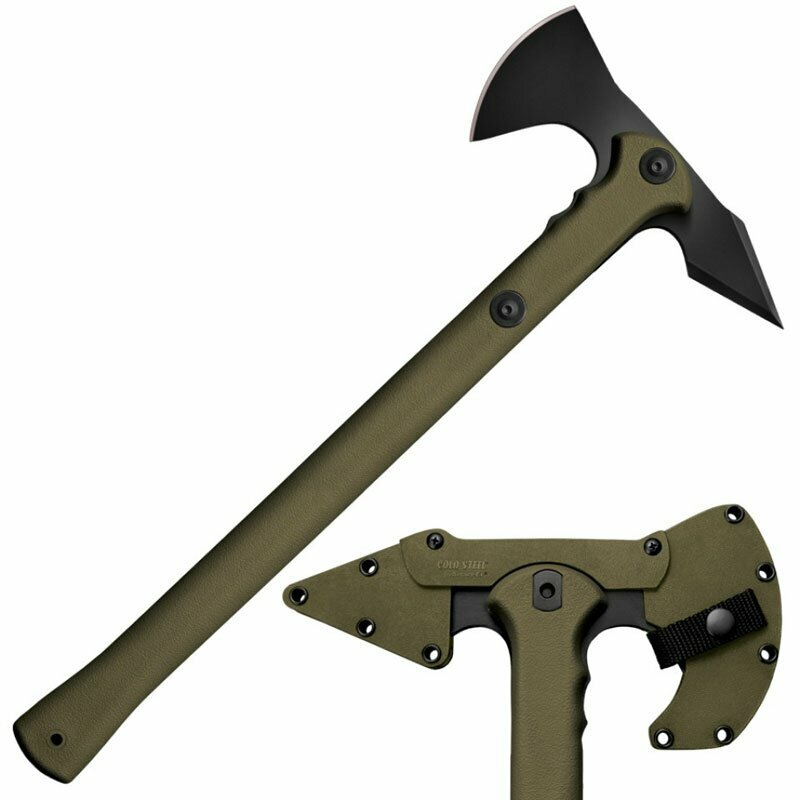 Cold Steel Tomahawk Trench Hawk OD Green(90PTHG) Axes, Maces and Tomahawks, decorative axe, throwing axe, fighting axe. The Cold Steel Trench Hawk features a sharp cutting edge and wedge-style spike, offering numerous tactical “options” for our nation’s modern warriors. Drop forged from 1055 carbon steel and differentially hardened, the head of the Trench Hawk will withstand tremendous blows as well as the awful stress of prolonged hard use. The handle of our Trench Hawk is highly resistant to shock and will withstand abuse that would break even a tough hickory handle. And, as an added benefit, is easily and cheaply replaced when finally worn out from repeated throwing. * The Trench Hawk comes complete with a patented articulated Secure-Ex sheath.